This brilliant essay by M. Bakri Musa was first published 12 April 2009. Now is as good a time as any to re-read it! Newly-sworn-in Prime Minister Najib Razak created a buzz when he released 13 prisoners detained under the Internal Security Act (ISA) and lifted the ban on Harakah and Suara Keadilan, publications of the opposition parties. He also promised “a comprehensive review” of the ISA, a statute long abused to silence the government’s critics. Malaysians long yearning for a change applauded him. There were skeptics, of course. Alas that was last week. This week the hopes of those citizens were cruelly crushed when they saw the real Najib with the announcement of his new cabinet. Far from being a team that would wow Malaysians, Najib’s cabinet was, as Tunku Aziz put it, “a team of recycled political expendables.” And a bloated one at that! 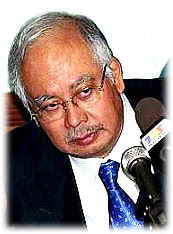 The skeptics were right; Najib’s earlier act was nothing but a big and cruel tease. This roster of “political expendables” was the best that the man could offer, from a leader who only a week earlier warned his party that it should “change or be changed.” When given the ultimate freedom to choose his own team, Najib stuck to the tried and true, or what he thought to be so. 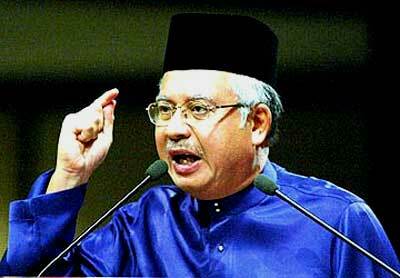 So this was Najib’s brave version of “Berani Berubah!” (Dare to Change!). Najib is incapable of change; there is nothing in him to suggest otherwise. He could not even recognize the need for one, much less respond to it. Change would be totally out of character for the man. Far from welcoming or be invigorated by it, change would threaten him. Unfortunately for Najib, Malaysia has changed. Incapable of change, he is doomed to be changed come the next general elections, from Prime Minister to Leader of the Opposition. He will be our shortest serving chief executive, our Gerald Ford. Ford was the unelected American President who assumed office following Nixon’s forced resignation over the Watergate scandal. Like Ford, Najib too was not elected to the highest office. Ford was subsequently rejected by voters; the same fate awaits Najib. For Malaysia, that would truly be a wasted decade, with the first half already being squandered by Najib’s predecessor, Abdullah Badawi. Najib is the obedient first son, the loyal subordinate, and the traditionalist aristocrat. He even inherited his father’s ancient tribal title, Orang Kaya Indera Shahbandar! How quaint in this 21st Century! His career path has been straight and narrow, on a track that had been conveniently laid down for him by others who felt indebted or grateful to his illustrious father. Najib has never shown a talent for striking new paths. Even his ascendance to the Prime Minister’s office was paved by others, in particular Tun Mahathir and Muhyiddin Yassin. Najib must remember that a favor offered is a favor owed. Just as he was the obedient son, Najib was also the dutiful and loyal subordinate. His blind obedience to Abdullah Badawi drew the wrath of Tun Mahathir. As for experience, Najib has been dependent on paychecks from the public purse all his adult life. He never had to meet a payroll; he has no idea of the trials and challenges of that endeavor; nor does he appreciate the sense of accomplishments and independence of those who have. This is not the profile of a leader capable of making radical changes that Malaysia so desperately needs now. Unfortunately the track Najib is on now ends at his office. Ahead, for him and the nation, is uncharted territory, with steep hills to climb and wide canyons to traverse. Turning back is not an option, as that path so carefully crafted by earlier leaders is now destroyed for lack of maintenance and prudent use. That Najib is now portrayed as an agent for change is more a tribute to his highly-paid public relations operatives and the all-too-eager-to-please toadies in the mainstream media. However, you can peddle a dud only for so long; sooner or later the ugly reality will emerge and the bubble burst. When that inevitability happens, beware! Voters react with vengeance when they feel that they have been hoodwinked by their leaders. Ask Najib’s immediate predecessor, Abdullah. The by-election results since the last general elections are portends for Najib and his party. Najib assembled his cabinet only last week. Even then he spent that limited time talking with leaders of his Barisan coalition instead of with potential candidates. He is clearly being negligent. He knew he will be Prime Minster months ago; he should have been interviewing and short-listing candidates all along. Being unopposed as president of UMNO and thus freed from having to campaign, he had plenty of time to preview his choices prior to last week. I am particularly concerned with the choice of his deputy. 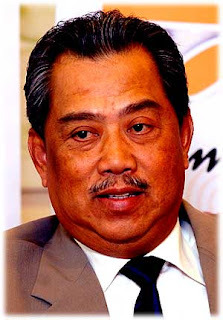 Did Najib have a private session with Muhyiddin before selecting him? Nowhere is it written that UMNO Deputy President should also be the Deputy Prime Minister. Najib is trapped by tradition. 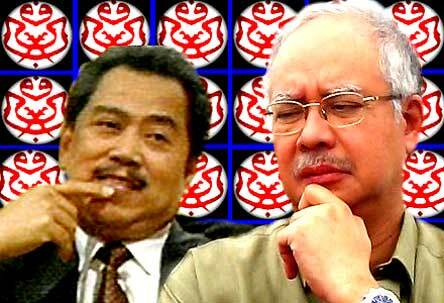 Najib should have done a “Khairy Jamaluddin” on Muhyiddin, that is, keep him out of the cabinet and make him focus on rebuilding the party. God knows, UMNO needs intensive rehabilitation as much as its Youth wing, if not more so. Dispensing with Muhyyudin would strengthen Najib’s image as a reformer, quite apart from taking the sting out of having singly excluded Khairy from the cabinet. Najib gave the very important Education portfolio to Muhyiddin. Is Najib assured that Muhyiddin agrees with him on the major policy issues, in particular the highly contentious matter of continuing the teaching of science and mathematics in English? Muhyiddin is unusually quiet on this. It is equally hard to be enthusiastic on the rest of Najib’s team. This is what happens when you choose your cabinet based on pleasing others, especially those whom you owe favors. Najib struggled to get his team, just like Abdullah and Mahathir before him. Like them, he too found the pickings slim as he fished only in the same polluted and shallow puddle of UMNO and Barisan. He did not have the courage to venture beyond. Najib unwittingly revealed much in his first few days as Prime Minister. Thanks to his PR team, Najib managed to sound very positive, at with his promise of “a comprehensive review” of the ISA. 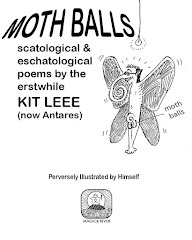 That sent orgies of praise for the man in the mainstream media and elsewhere. The more perceptive (or skeptical) would note that he specifically did not mention anything about repealing it. Then there was his announcement on the release of the 13 ISA prisoners “with immediate effect.” In Najib’s lexicon, “with immediate effect” means at least three days later! This shows how much he is in tune with the actual workings of the civil service. If I had been Najib’s communications director, this is what I would have done. 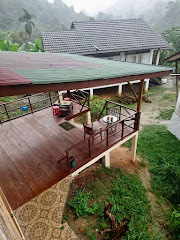 Knowing how easily our civil servants could screw things up, I would first check with the Home Ministry, specifically the Chief of Police and Prison Director, to arrange for the release of the prisoners.Send them to the nearby rest house at government expense if their families were not yet ready to receive them. I would then alert television stations and other news media so they would be there to cover it. Only after assuring myself that all those meticulous preparations are in place would I have Najib make his announcement. Imagine the dramatic impact when the split screen on the nation’s television screens would also show the prisoners being released as he made the announcement.It would also showcase the crispness of Najib’s new administration. Had he done so, he would have been spared the embarrassment of his orders being delayed for days because of – you guessed it! – paperwork! On the day Najib announced his new cabinet, the judge in the long running Mongolian model murder trial rendered his judgment. Najib had been trying hard to ignore the grisly tragedy, but it kept cropping up at the most inopportune times. His strategy is to stonewall, banking that the success of his policies would make citizens forget the gruesome crime. Najib is gravely mistaken in this. Even if his ethics were beyond reproach, Najib would find his policies a tough sell. Conversely, if he could clear up those sordid allegations (assuming of course he is innocent, a huge supposition) he would find that with his personal credibility now enhanced, the public would more likely buy into his policies. Stonewalling is no strategy. As it now stands, Najib is doomed to be the last UMNO Prime Minister. He will not be even a “one-termer.” He will go down in history as our shortest-serving Prime Minister. 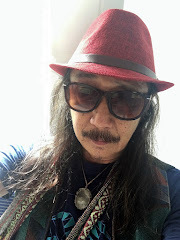 Worse, it will be recorded for posterity that he was the Malay leader who brought down a once glorious organization, UMNO, an institution his late father was so instrumental in setting up. All destroyed in just two generations; the first to build it, the second to destroy. 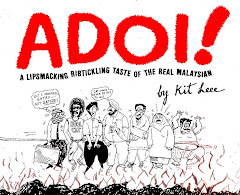 Truly a very Malay story! For those who warmly applauded Najib on his first few days in office thinking that his was the dawn of a new day for the nation, I hope they would translate their disappointment into effective action. Deliver to Najib his own KPI (Key Performance Index) at the next general elections. It will be less than four years away; plenty of time to lay and grease the track for Najib’s (and UMNO’s) exit.